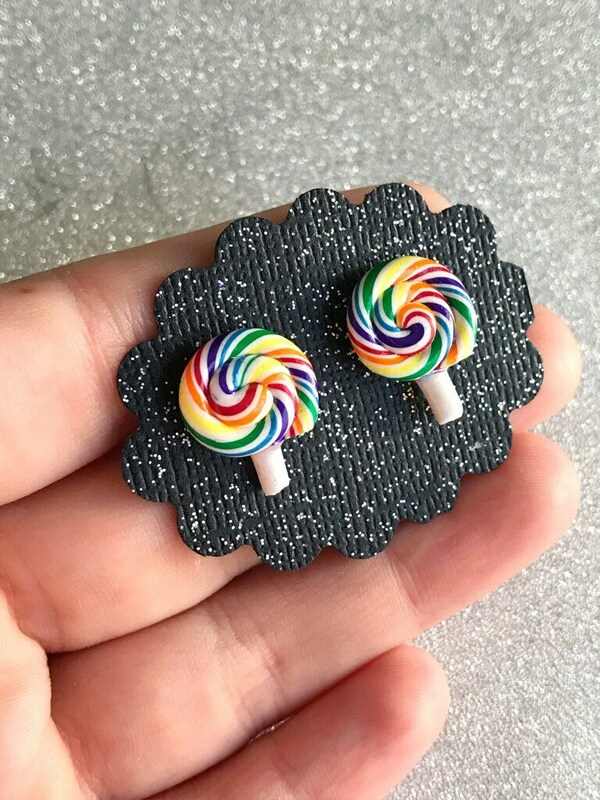 These adorable little lollipop stud earrings are handmade using polymer clay! 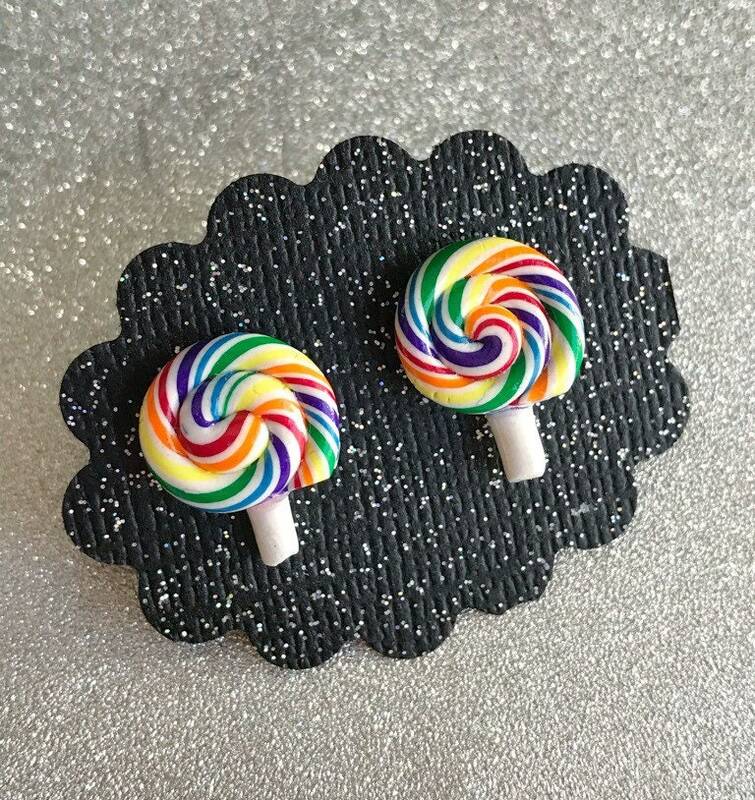 I made 9 different pairs of lollipops and this is pair #2. 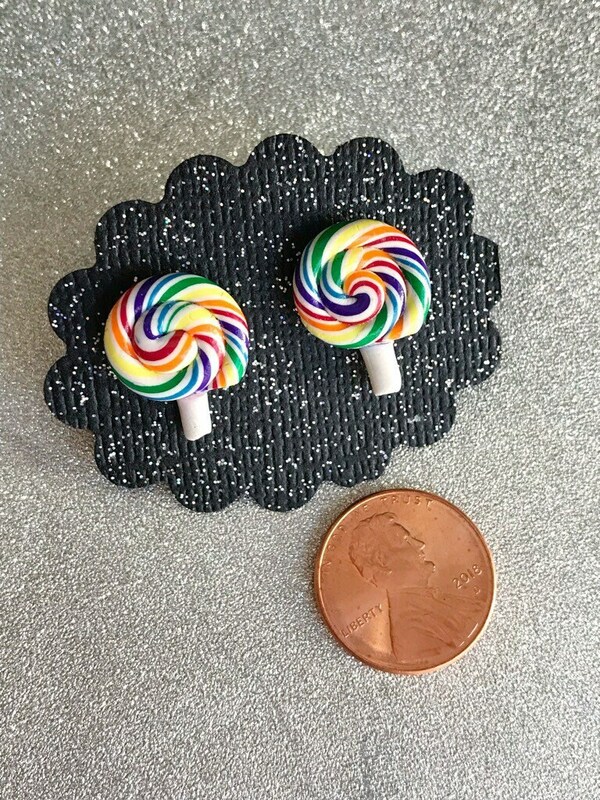 Please look at my shop for the other earring sets 😊. 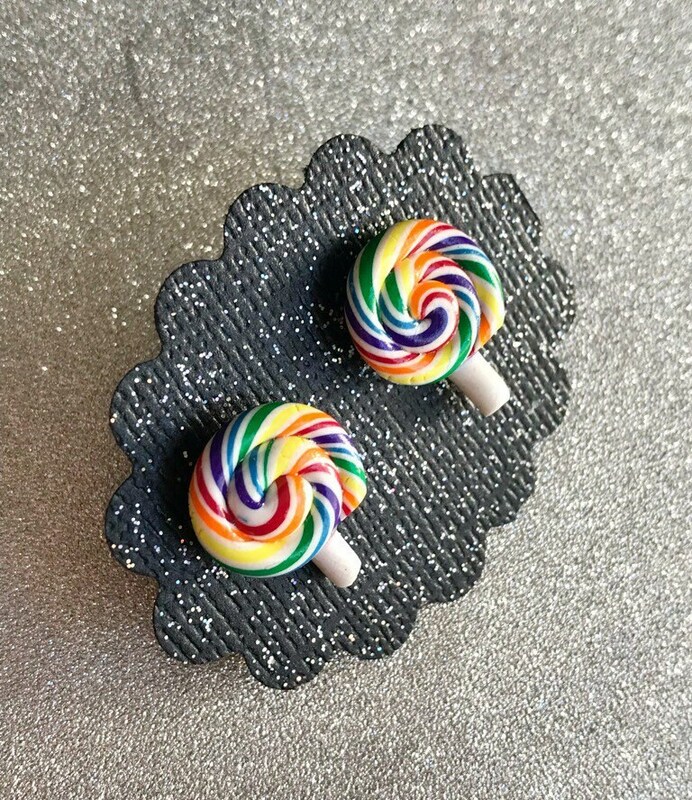 I have 6 other stud pairs & 2 dangle earring sets! *they are on Stainless Steel earring posts! They will be mailed in a jewelry box & a pink poly-mailer!